Attorney Gregory Lorincz concentrates his practice primarily in civil litigation, as well as business, employment, intellectual property, landlord tenant, and appellate practice areas. 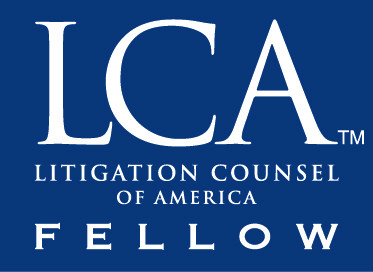 Attorney Lorincz is a graduate of Worcester Polytechnic Institute and the University of Nebraska College of Law, is licensed to practice law in the state courts of Massachusetts and Nebraska, as well as the U.S. District Court for the District of Massachusetts and the U.S. Court of Appeals for the First Circuit. 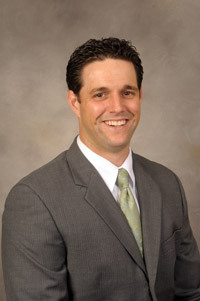 He is certified in Limited Assistance Representation (“LAR”) in Massachusetts and as a Collaborative Attorney by MCLC. Attorney Lorincz formerly served as the President of the Attleboro Area Bar Association, sat on the Board of Directors for the Bristol County Bar Association, and is a member of the Massachusetts Bar Association, Massachusetts Academy of Trial Attorneys, Massachusetts Collaborative Law Council, and International Academy of Collaborative Professionals. In addition, he has been a lecturer and author for the National Business Institute on numerous topics, including employee handbooks, controlling unemployment costs, and wage and benefit issues. He has served on Human Rights Committees for Beta Community Partnerships and Community VNA’s Norfolk Adult Day Health Center, acts as a mock trial judge for the Annual Yale Mock Trial Invitational Tournament, and is a member of the United Regional Chamber of Commerce and Young Professionals Organization. Attorney Lorincz has been listed in Legal Leaders 2015 – Boston’s Top Rated Lawyers in the practice areas of Business & Commercial Law, Labor & Employment Law, and Litigation. He has also been selected as a Rising Star by Super Lawyers, a status that is bestowed on less than 2.5% of attorneys under 40 years of age, and recognized by the National Law Journal – Boston Rising Stars, a list of 40 outstanding lawyers in the Boston area, age 40 or younger. He is peer review rated AV-Preeminent by Martindale-Hubbell. This peer review rating indicates that a lawyer’s peers rank him or her at the highest level of professional excellence and that the rated lawyer has demonstrated the highest level of ethical standards and legal ability, a status that is bestowed on less than 5% of all attorneys. © 2017, Lorincz Law Office, PLLC. All Rights Reserved. Disclaimer: This website has been developed to provide general information about this law practice. The materials posted at this site are not intended to create, and do not create, an attorney-client relationship or a representation regarding any potential engagement. Please do not convey to us any information you regard as confidential unless and until a formal lawyer-client relationship has been established. Any information received from you prior to the formal establishment of such a relationship will not be confidential. The information provided is not intended to be and should not be considered legal advice. Readers should not act upon these materials without seeking professional counsel. The materials at this site may constitute advertising under various states’ ethics rules. The Massachusetts Supreme Judicial Court licenses lawyers in the general practice of law, but does not license or certify any lawyer as an expert or specialist in any field of practice. Accordingly, a description of an area of practice does not mean that an agency or board has certified such attorney as a specialist or expert in an indicated field of law practice. Prior results do not guarantee similar outcomes.